While you may think that some loss of teeth is inevitable as we age, it is actually possible for all of your teeth to last a lifetime. One of the ways you can achieve this goal is to avoid periodontal disease (“peri” – around; “odont” – tooth), which is caused by bacteria that attack the tissues around the teeth. 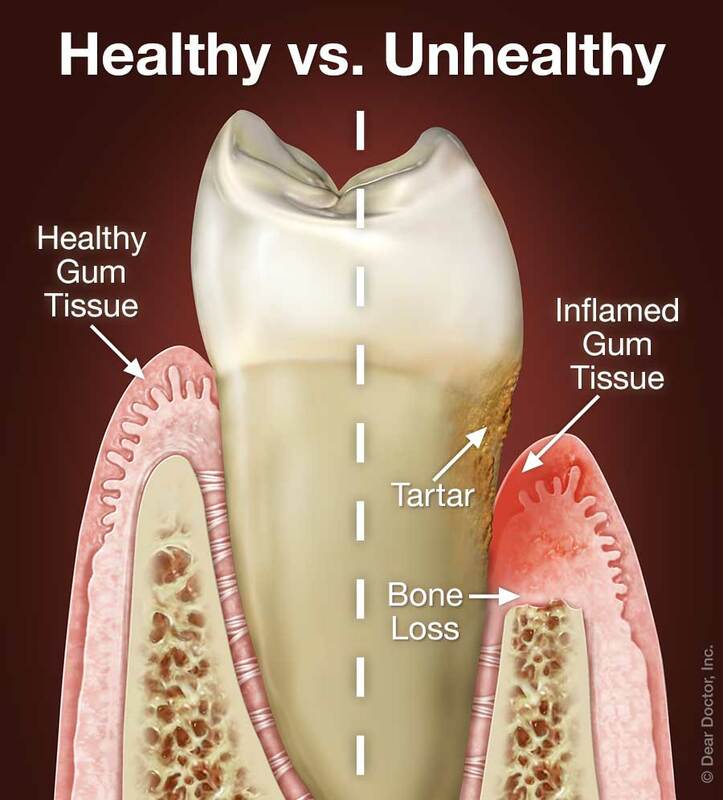 Unfortunately, you may not even realize you have gum disease as the signs and symptoms are not always as apparent to you as they are to a dental professional. Redness or swelling of gums — Inflammation of the gums is usually the first visible sign of periodontal disease. 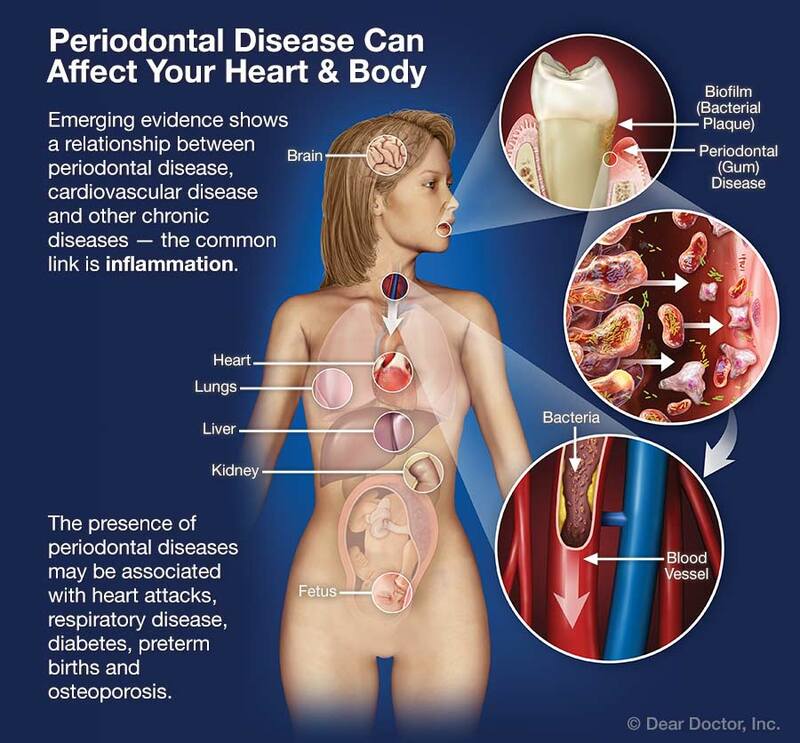 Periodontal disease occurs in your mouth but seems to be linked to more serious conditions in other parts of the body, such as cardio-vascular disease (CVD), diabetes and preterm births. 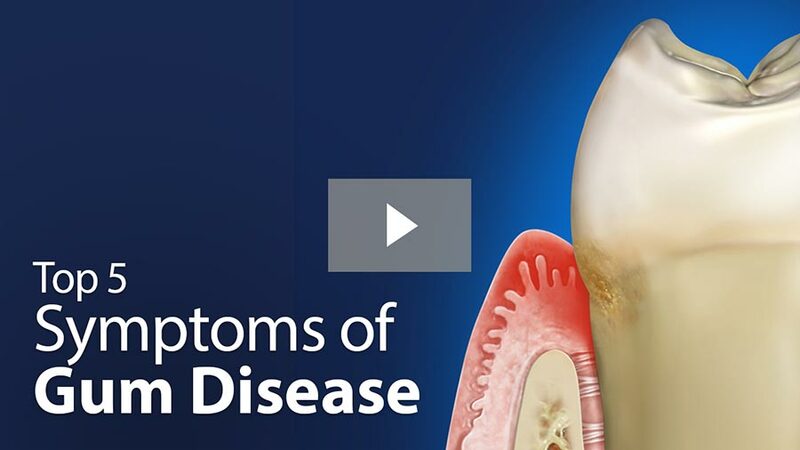 While the exact nature of the connection is unclear, it appears that moderate to severe periodontal disease increases the level of systemic (bodily) inflammation — a characteristic of all chronic inflammatory diseases. Also, the same bacterial strains that are commonly found in periodontal pockets surrounding diseased teeth have been found in blood vessel plaques of individuals with CVD. Therefore, controlling periodontal inflammation may help to reduce systemic inflammation. The best way to prevent periodontal disease is to brush and floss your teeth effectively every day. 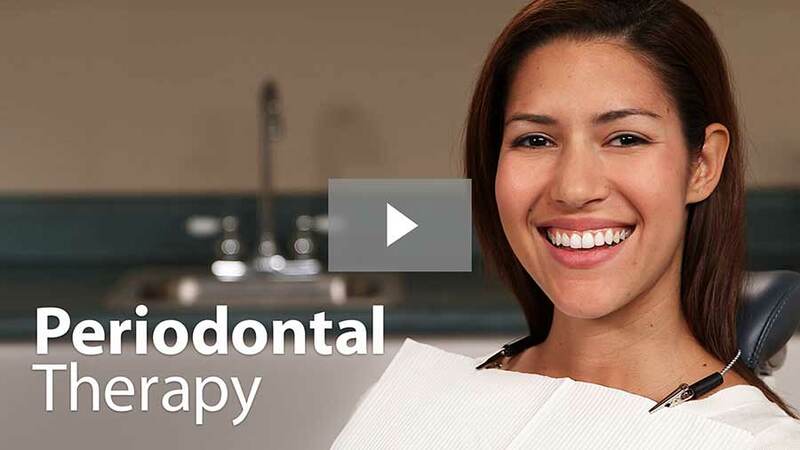 In fact, regular dental checkups and professional cleanings every 3, 4 or 6 months (as recommended by your dentist) are also an important part of maintaining periodontal health; the instruments and techniques used in these cleanings can reach into areas that your toothbrush and floss can't. We can also detect early forms of gum disease by evaluating your gingival (gum) tissues, both visually and by examining their attachment levels to the teeth. And we can assess the health of your tooth-supporting bone by taking dental radiographs (x-rays pictures).